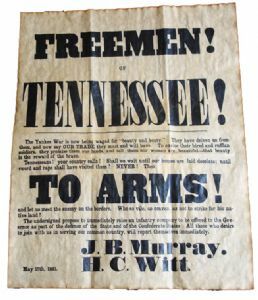 This Antiqued Parchment Poster Is A Reproduction Of An Original Tennessee Recruitment Broadside Which Was Used From May 17th 1861. 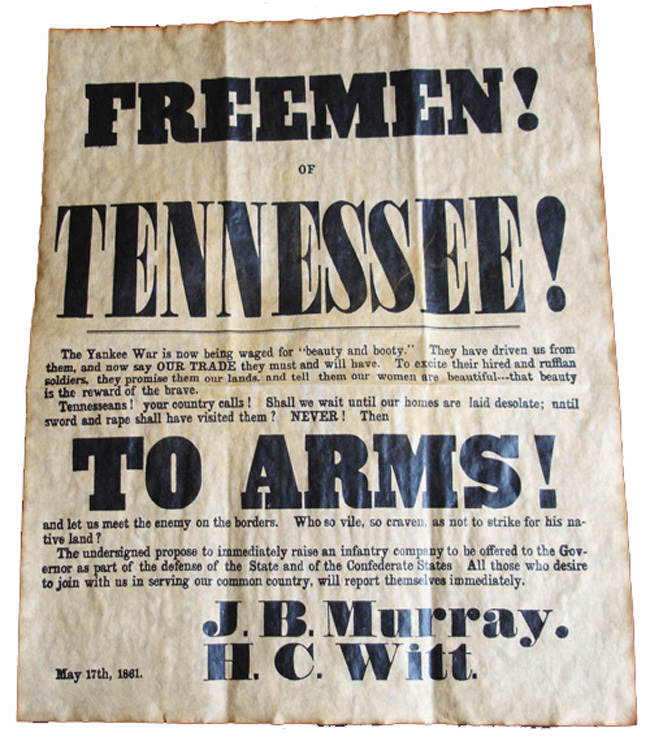 Volunteers Were Inspired To Join The Confederate Army With Slogans Such As, "Tennessee! 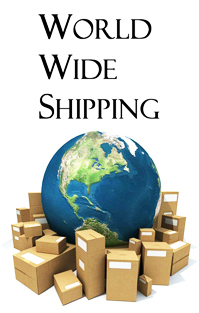 Your Country Calls!". Measures 36cm x 29cm,Ideal For Framing And Display.